Life on the seas is a fantasy we’ve all had – soaking up the sun on the deck, relaxing to the sound of the water, dropping anchor for a swim or to gaze up at the stars. A yacht investment requires a hefty sum, so you’ll want to apply some customizations to further enhance your enjoyment, as well as protect your investment. 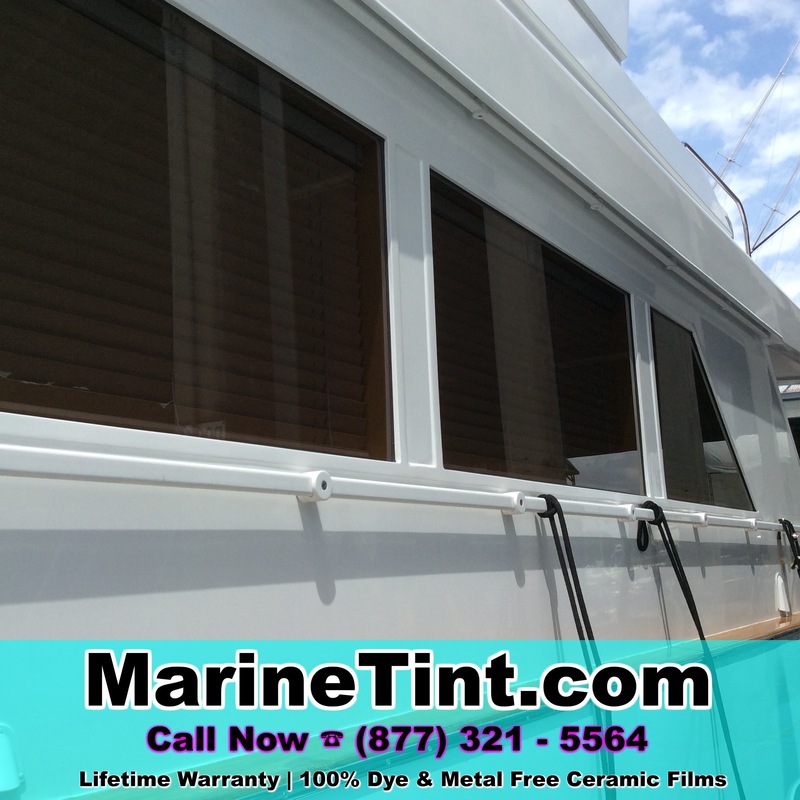 A tint application can protect your yacht, improve the aesthetic, and enhance the experience on the water. Block harmful rays: By filtering out up to 99.9% of UV-rays and up to 98% infrared rays, a tint can dramatically reduce exposure to harmful cancer-causing rays, protecting you and your passengers. 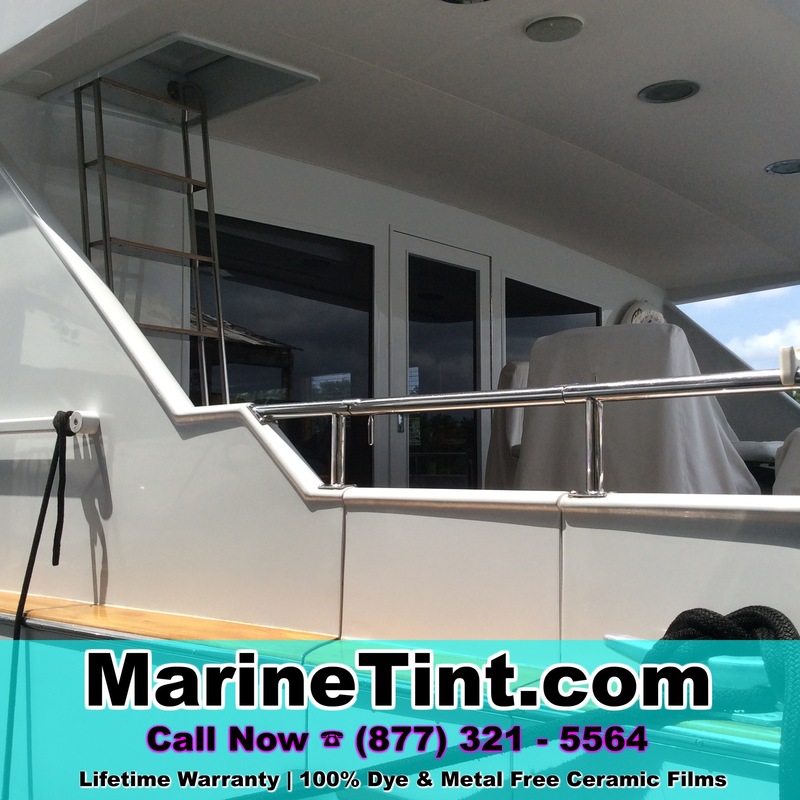 Those rays can cause rapid fading of your boat’s interior furnishings and materials, thus a top grade tint can help to preserve the integrity of your vessel. 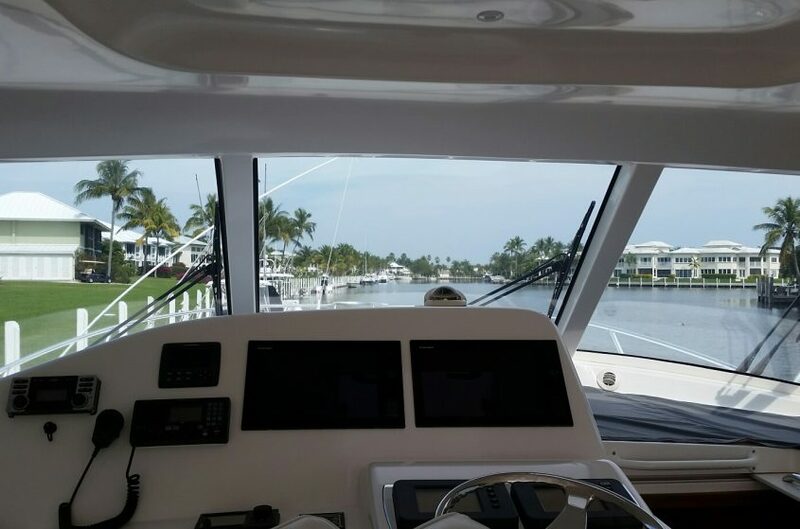 Climate control & comfortability: Ducking into the cabin to cool off is one of the luxuries of owning a boat, but maintaining that cool internal climate can require excessive energy use, which still can result in uncomfortable temperature variations under hotspots. With a window tint, you can bar out up to 70% solar energy and dramatically reduce heat build-up. This increases air conditioning efficiency and adheres to better climate consistency. Reduce glare: With a window tint, you can shield out those rays that may you squint, thus improving your optics and visibility and decreasing eye fatigue so you can maintain control and stay alert. 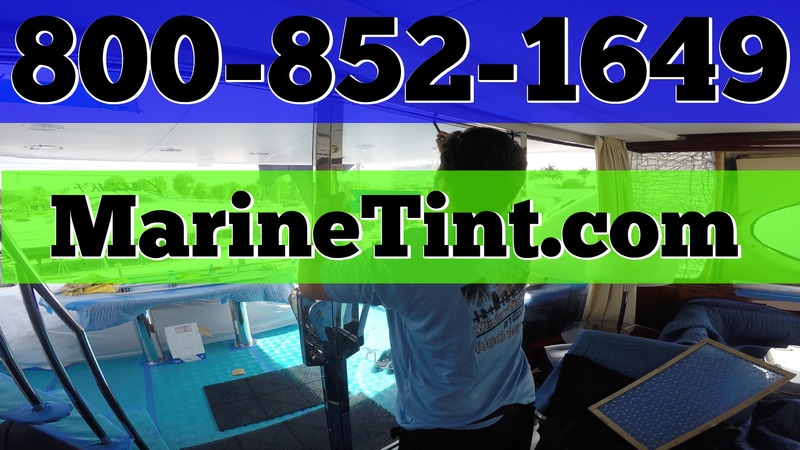 Privacy & protection: Tints of certain darknesses and reflectivity can drastically reduce visibility from those outside the boat. This provides more privacy and also decreases exposure of your valuables to outsiders. The tint is also highly durable and reinforces windows, thus making them stronger to the elements and less vulnerable to theft attempts. 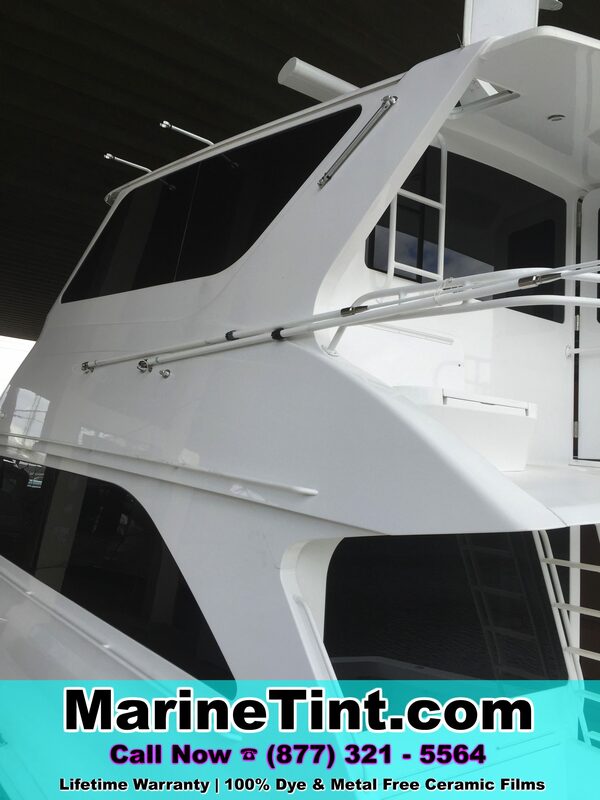 If you’re considering tinting the windows of your yacht, speak with us about the products to best satiate your tinting needs and achieve your desired aesthetic. We are experts in a wide range of tinting types, and can aid you in ascertaining the best result possible.